ALAMEDA, Calif. -- The Oakland Raiders have signed free-agent cornerback Dominique Rodgers-Cromartie, a source told ESPN's Adam Schefter. Rodgers-Cromartie told ESPN's Josina Anderson earlier Wednesday that he was in Oakland to work out for the Raiders and that things went "real good." In adding the two-time Pro Bowler to the Raiders' secondary, Oakland is giving itself not only another veteran who is older than 30 but durability and depth at a position that has seen its two projected starters in Rashaan Melvin and Gareon Conley unable to avoid injuries in their respective careers. Consider: Rodgers-Cromartie, who is entering his 11th NFL season after playing the previous four seasons for the New York Giants, following previous stops with the Denver Broncos, Philadelphia Eagles and Arizona Cardinals, has played in fewer than 15 games just once in his career, when he appeared in 13 games for the Eagles in 2011. Melvin, meanwhile, played in 15 games for the Indianapolis Colts in 2016 and 10 games last season, while Conley was limited to two games of his rookie season last year due to a shin injury that required surgery. Conley missed two weeks of training camp this month with a strained hip suffered on the first day of practice and was seen limping following Wednesday's light practice. Other Raiders cornerbacks include Daryl Worley, who could be facing a suspension for his arrest in April after he was found passed out inside a vehicle blocking a highway; rookie fourth-round draft pick Nick Nelson; Leon Hall; Dexter McDonald; Antonio Hamilton; Shareece Wright, who missed practice on Tuesday; Raysean Pringle; and Antwuan Davis. The Raiders waived/injuredTevin Mitchelon Tuesday. The Raiders, who have not announced the signing, have 89 players on their 90-man roster. 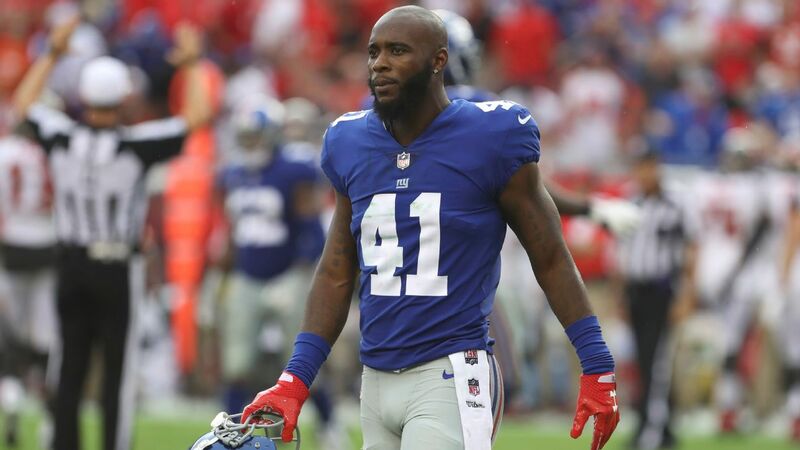 A first-round draft pick of the Cardinals in 2008, Rodgers-Cromartie, 32, is a big cornerback at 6-foot-2, 203 pounds, and would seemingly fit new defensive coordinator Paul Guenther's man-press style of play. He has 30 career interceptions, though none since his career-high-tying six in 2016, with six career pick-sixes. Last season, he had 48 combined tackles in 15 games for the Giants.